Bridal parties come in all shapes and sizes. Also, their personalities can vary so much. Some are reserved, while others are wildly outgoing. And I’ve encountered everything in-between. 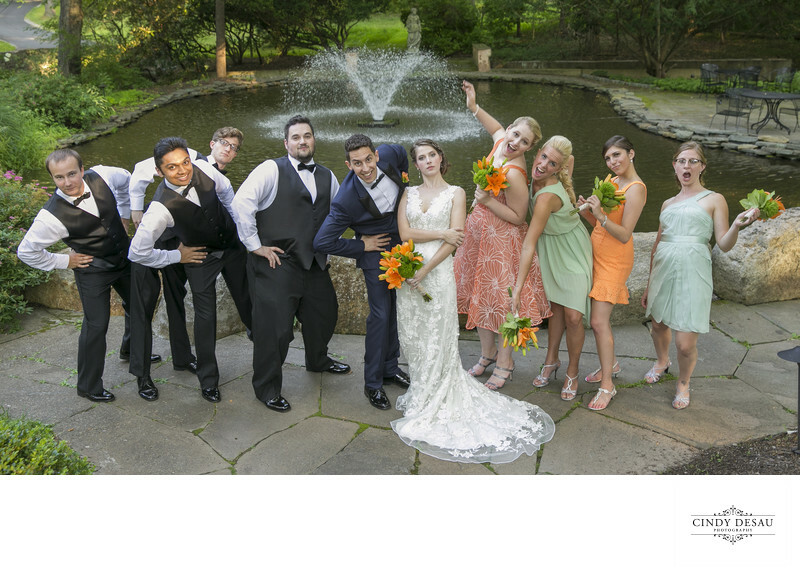 The types of bridal party photos I get depend in large part on the personalities of this group. This fun-loving wedding party really gave it their all to strike a fun pose, making for some great photos for the bride and groom.